charmcityartsmaven: P.T. BARNUM COMES BACK TO LIFE @ THE PEALE CENTER! P.T. BARNUM COMES BACK TO LIFE @ THE PEALE CENTER! WHEN: EXTENDED April 5 - 20, 2018. Nightly seatings Thursday through Sunday at 7pm. Additional seatings Fridays at Saturdays at 10pm. 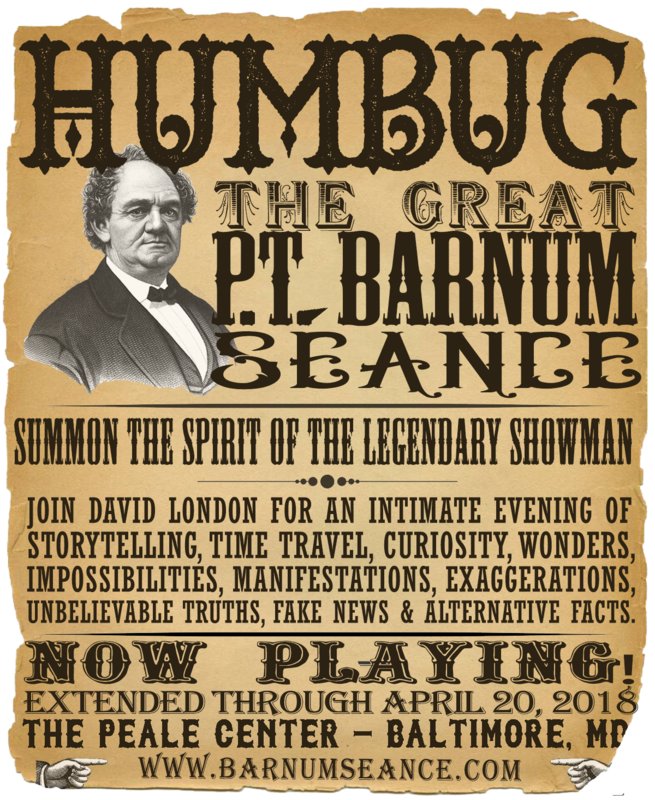 Hear the incredible true stories of Barnum’s life! Encounter genuine artifacts* from Barnum’s career! Bring Barnum and his cast of characters back to life!